I'm so excited that all the spring colors look like trays of macarons, or piles of tutus in a vintage shop, they just look light, airy, scrumptious and girly! I think of the colors in the Marie Antoinette movie with Kirsten Dunst. 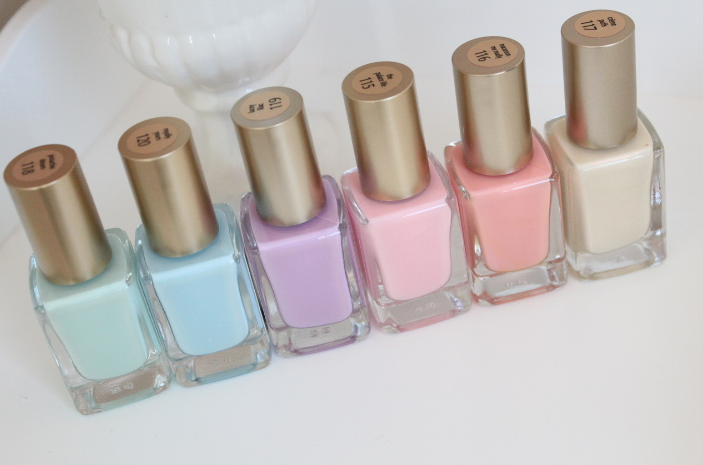 ahhhhh, which color is your favorite!!!?? The mint green, pink, lavender and blue are my favs! 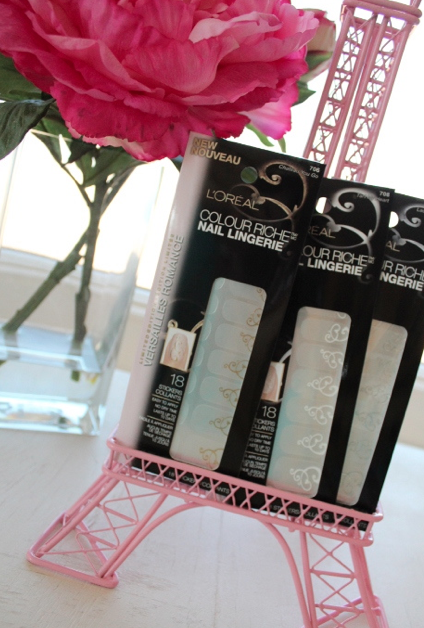 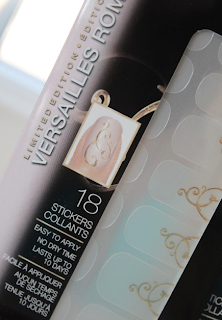 And these are perfectly names, the Colour Riche Versailles Romance Collection. 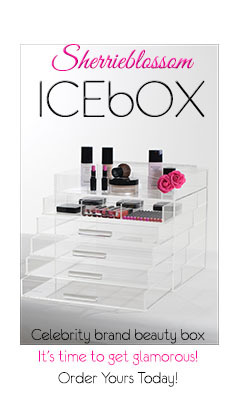 Like most all spring collections, they will be until they run out! 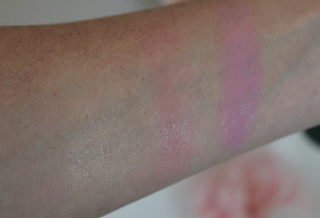 This what they look like swatched on my arm, the "Bijioux" color is very sheer on the far left, but that is actually one of my favorites! 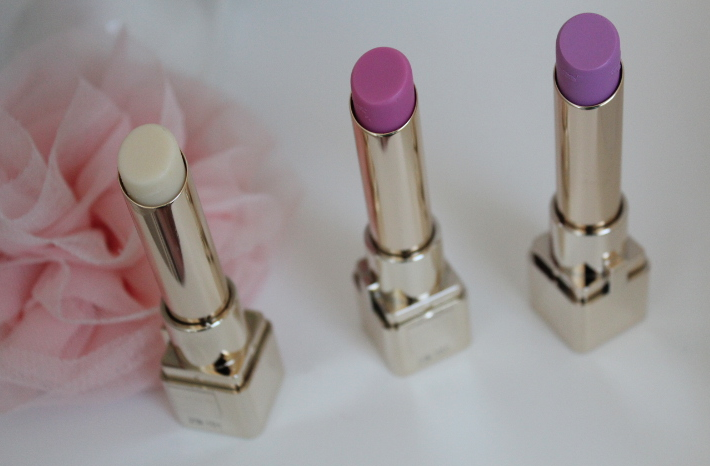 HYDRATION: It's a tinted lip balm, so it will keep your lips plump, moisturized and it feels light and airy for spring! 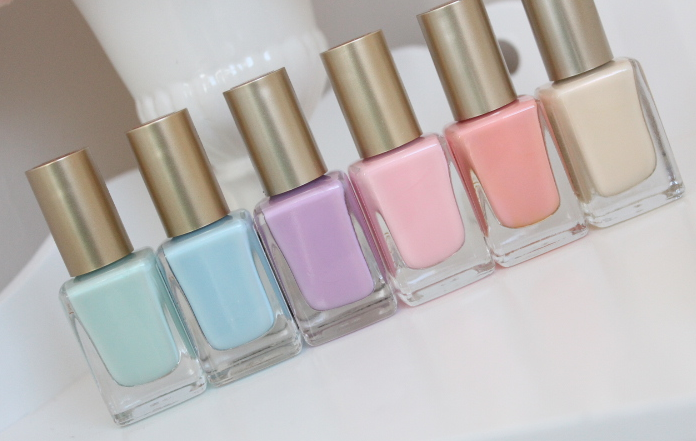 I love all these colors, they are like a gently kiss of happiness and I just want to eat them up!